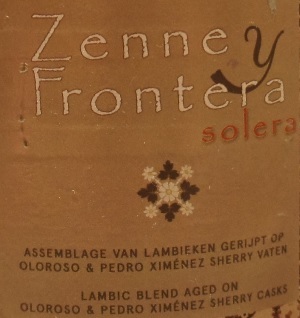 Brewer Description: (from bottle) With the first version of Zenne y Frontera, 9 Oloroso barrels and 3 PX barrels were filled with young lambic. 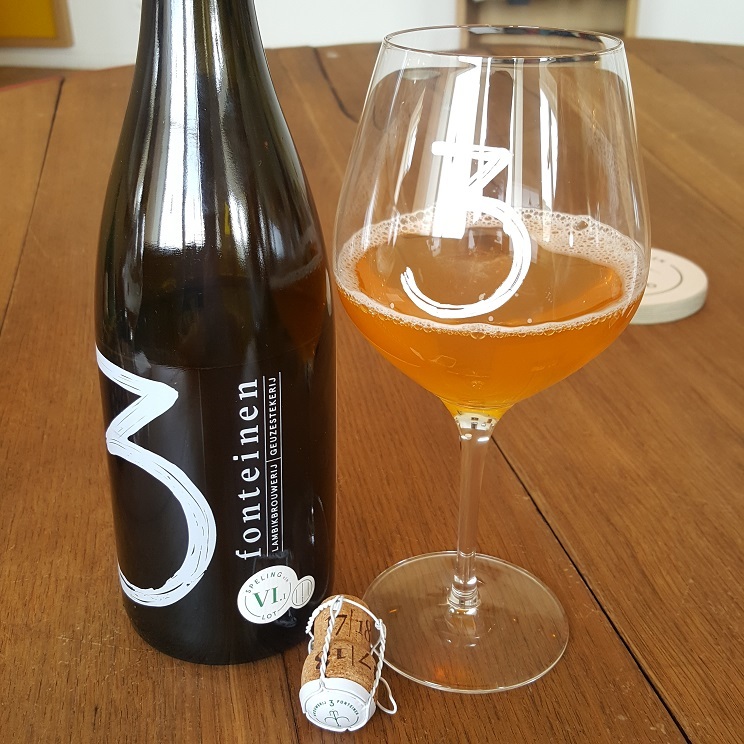 After one year of oak maturation, the characteristics of the finest of sherries and the 40 year old casks integrated with the 3 Fonteinen lambic. Only half of the volume of all casks was blended and bottled and the barrels were filled again with young lambic – our interpretation of the “solera” method. For this second edition, again only half of all barrels was blended and bottled. 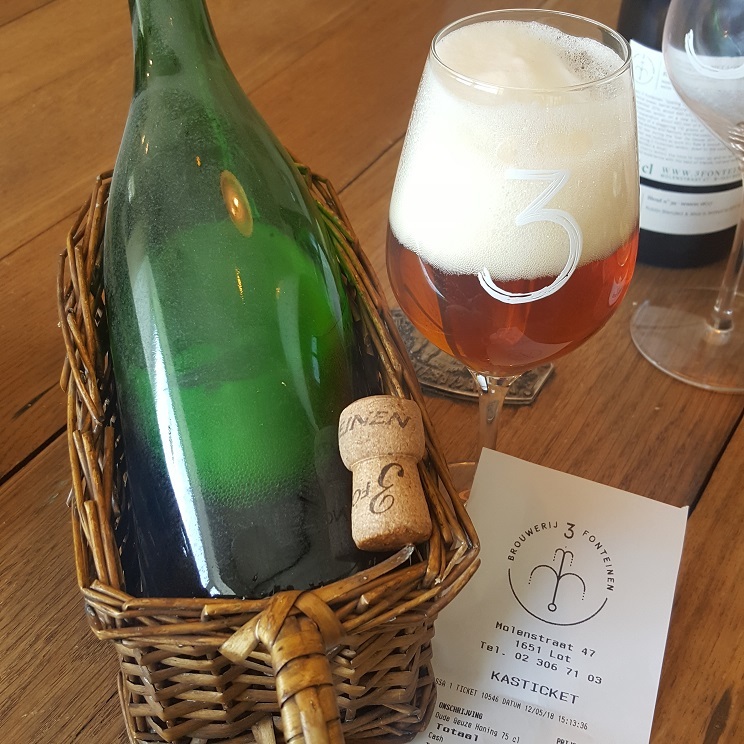 After another 17 months of bottle maturation, the average age of this naturally refined traditional lambic beer is more than 45 months. This batch is limited to 3000 bottles. Intro: A 750ml bottle, batch 2, bottled on 26th March 2016 and a best before date of 26th October 2026. 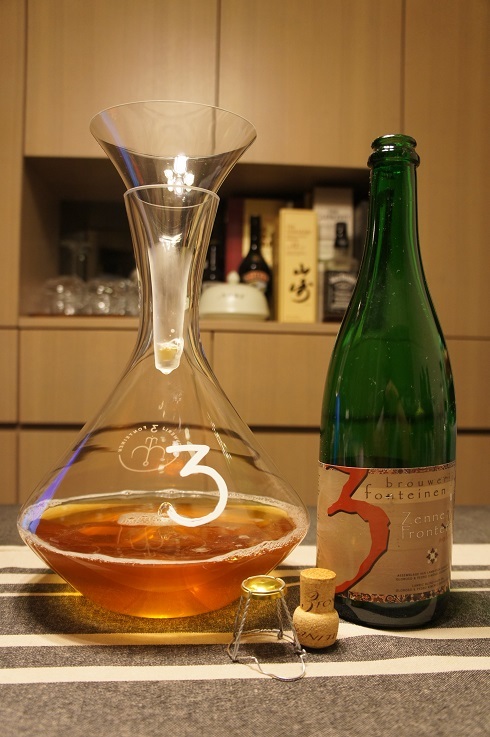 Poured into a 3 Fonteinen funnel and decanter, decanted for 60 to 90 minutes and poured into a 3 Fonteinen Zenne glass. Appearance: A mostly clear golden orange colour with a minimal white head and sparse to no lacing. Aroma: Earthy funk, barnyard, hay, oak, nutty, sherry, peach and lemon. Taste: Complex flavours. Funky, earthy, barnyard, sour, lemon, grape, apricot, sherry and oak with a hint of vanilla. Overall: Wow, such complexity and goodness from a beer. Amazing and well balanced. Now I really want to try this side by side with the sherries and even batch 1, if at all possible. 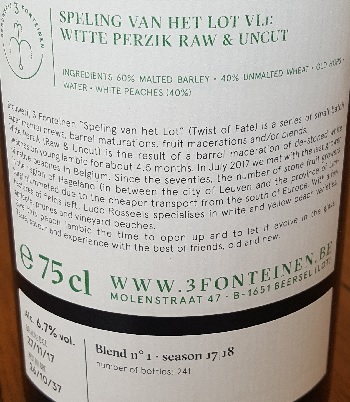 Brewer Description: (from lambic.info) 3 Fonteinen Oude Geuze Honing is a geuze infused with honey (local organic honey). 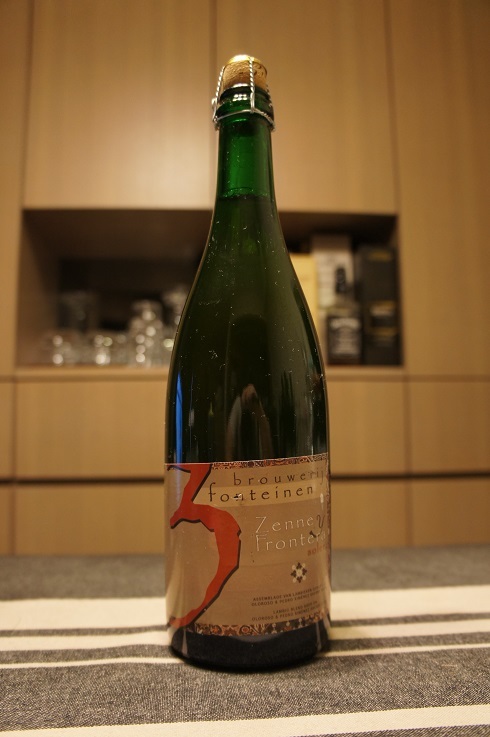 Intro: A 750ml bottle at 3 Fonteinen lambik-O-droom, 2015 vintage, bottled on 12th January 2015. 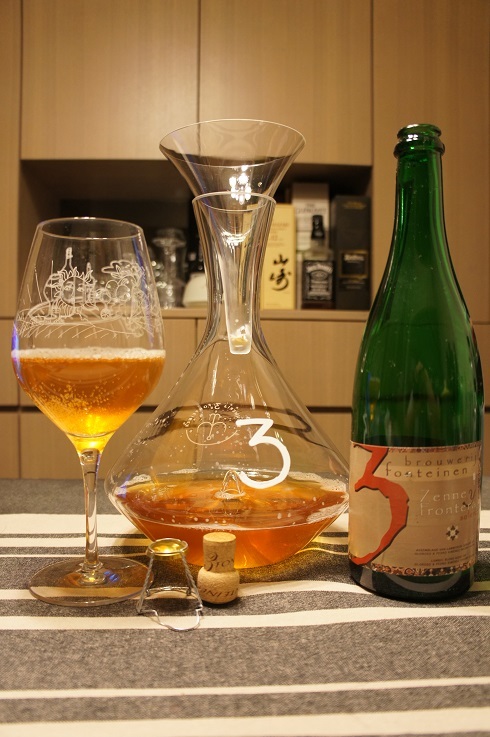 Poured into a 3 Fonteinen stemmed glass. Appearance: A clear dark orange, copper colour with a three finger off white head that had great retention and thick stick lacing. Aroma: Funk, grass, hay, lightly sweet honey, light herbs and lemon peel. Taste: Sour, funk, lightly sweet, grass, hay, lemon peel, sherry vinegar and light berries. 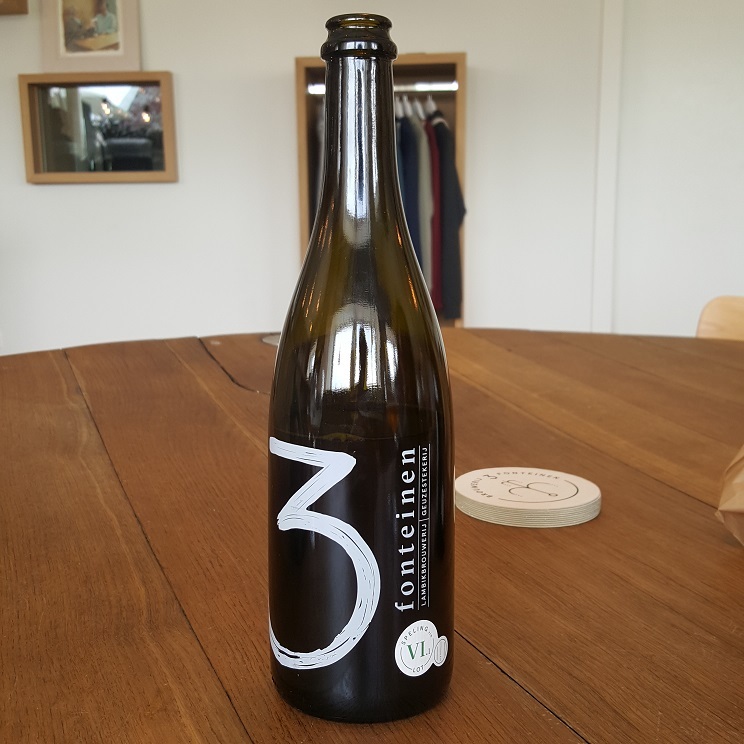 Overall: Another amazing lambic by 3 Fonteinen. Just so enjoyable and relaxing to drink. 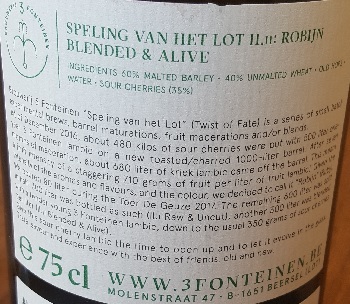 Brewer Description: (from bottle) Brouwerij 3 Fonteinen “Speling van het Lot” (Twist of Fate) is a series of small batch experimental brews, barrel maturations, fruit macerations and/or blends. 1st of December 2016, about 480 kilos of sour cherries were put with 500 liter one-year 3 Fonteinen lambic on a new toasted/charred 1000-litre barrel. After seven months of maceration, about 680 liter of kriek lambic came off the barrel. This means a fruit intensity of a staggering 710 grams of fruit per liter of fruit lambic! Given the intensity of the aromas and flavours, and the colour, we decided to call it “Robijn” (Ruby). We poured 80 liter during the Toer De Geuze 2017. 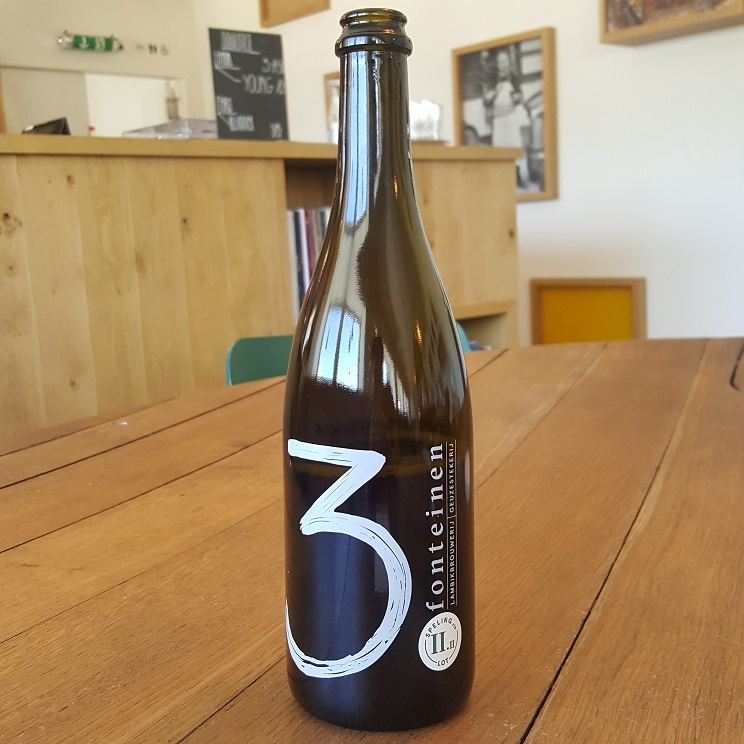 The remaining 600 liter was split in half: 300 liter was bottled as such (II.i Raw & Uncut), another 300 liter was blended with a tender young 3 Fonteinen lambic, down to the usual 350 grams of sour cherries per liter (II.ii Blended & Alive). Give this sour cherry lambic the time to open up and to let it evolve in the glass. Taste, savour and experience with the best of friends, old and new. 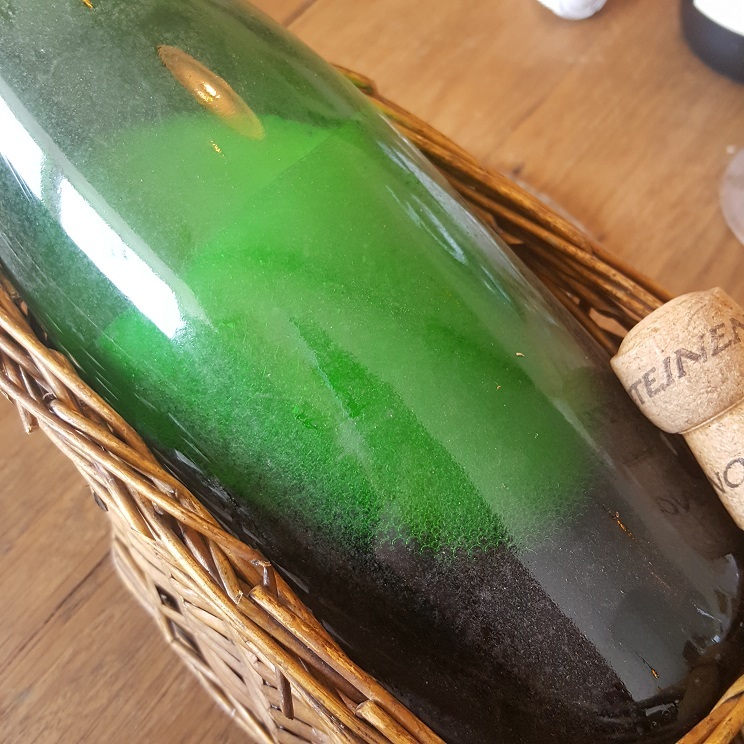 Intro: A 750ml bottle at 3 Fonteinen lambik-O-droom, blend n°39, season 16/17, bottled on 30th June 2017 with a best before date of 26th October 2037. 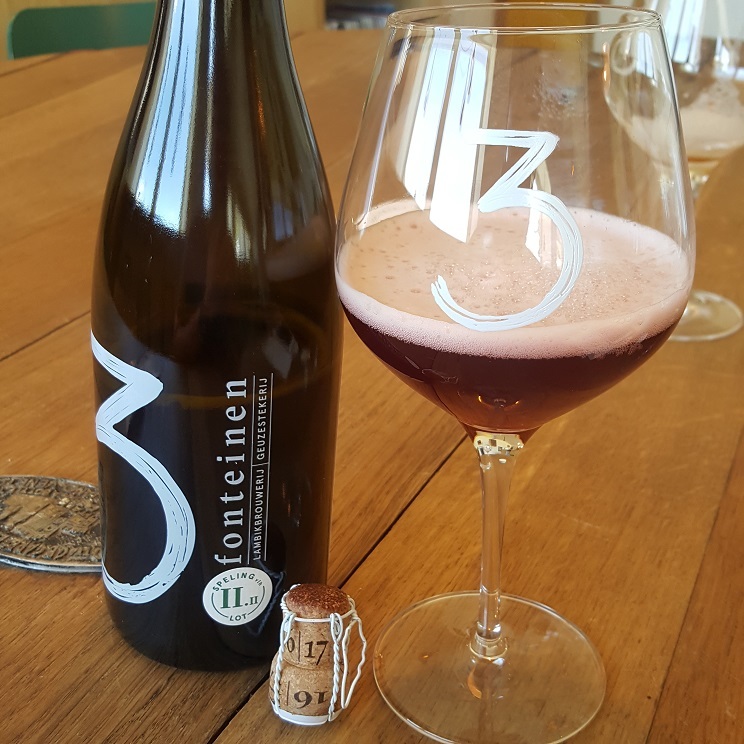 Poured into a 3 Fonteinen ballon glass. Appearance: A ruby red colour with a two finger creamy pink head that dissipated fairly quickly to a thin layer, while leaving some spotty lacing. Aroma: Candied cherry, almonds, marzipan and oak. Taste: Similar to the aroma, tart, sour, candied cherry, almond, marzipan and oak. Overall: Just amazing cherry juice and almonds. Brewer Description: (from the mini blackboard menu at the brewery) klassiek. 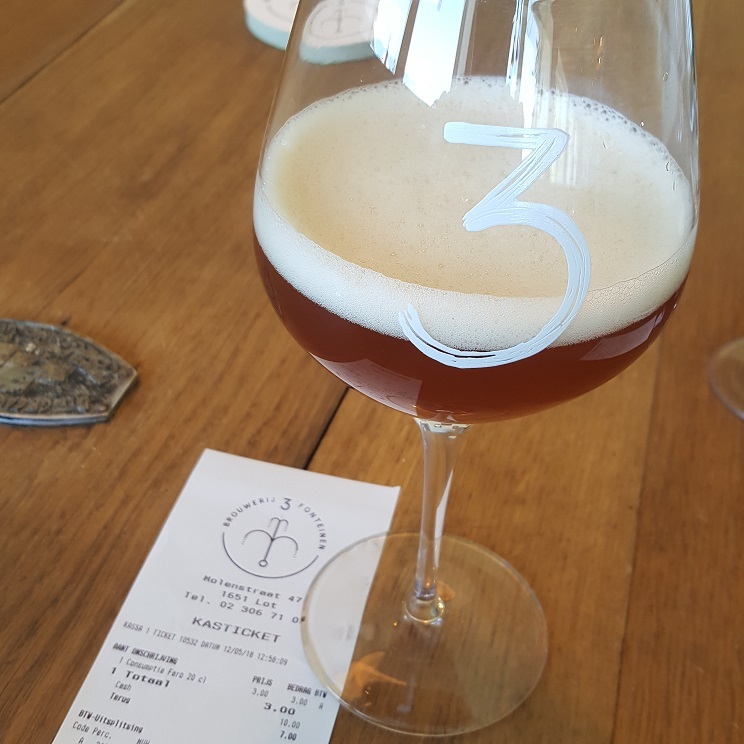 Intro: A 200ml pour into a 3 Fonteinen stemmed glass from the hand pump at 3 Fonteinen lambik-O-droom. Appearance: A cloudy dark orange colour with a one finger white head that had great retention that just stuck around forever and some nice lacing. Aroma: Amazing aroma, candy sugar, apricot, touch of orange, musty wood, light caramelised apple and caramel. Taste: Sweet, but not overly so like other faros I’ve tried. Hay, apricot, brown sugar, woody oak and tea. Mouthfeel: Creamy, smooth, light to medium bodied with soft carbonation. Overall: An amazing faro. The only one I haven’t found to be overly sweet so far, maybe because of the combination with some good flavours.